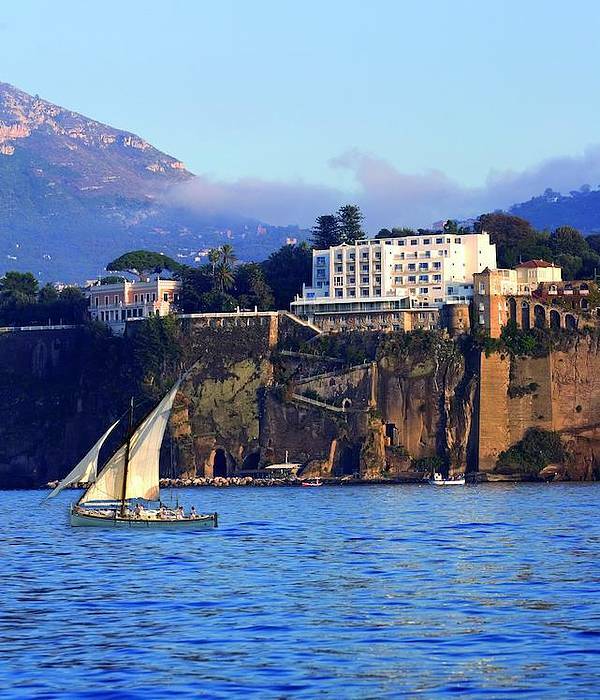 Perched directly above the sea and featuring a series of tunnels excavated directly though the stone cliff leading from the hotel above to the private beach below, the Hotel Parco dei Principi is a masterpiece of Italian architecture and ingenuity. 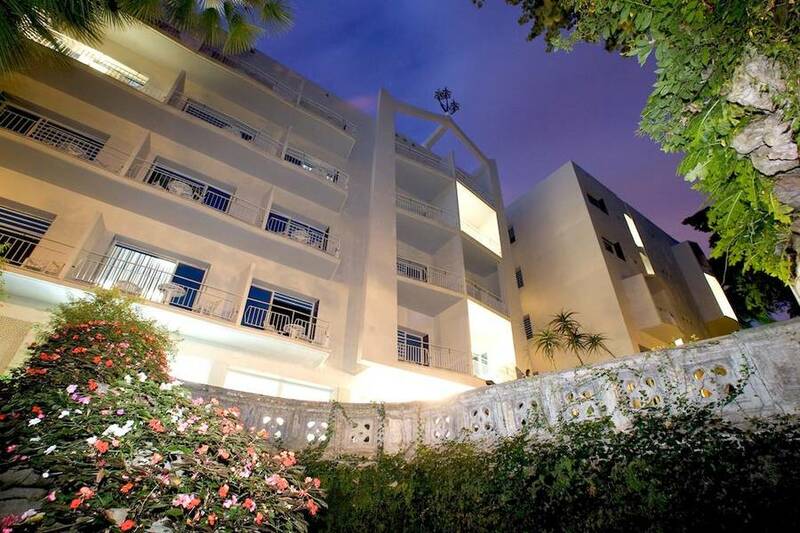 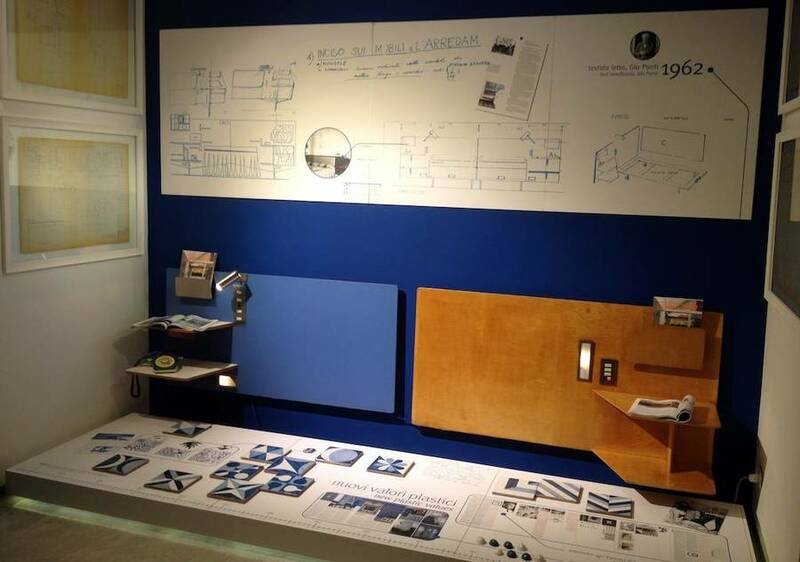 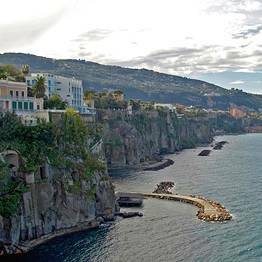 Designed by the architect Giò Ponti, the complex blends perfectly with the stunning beauty of Sorrento and the breathtaking surrounding land and seascapes. 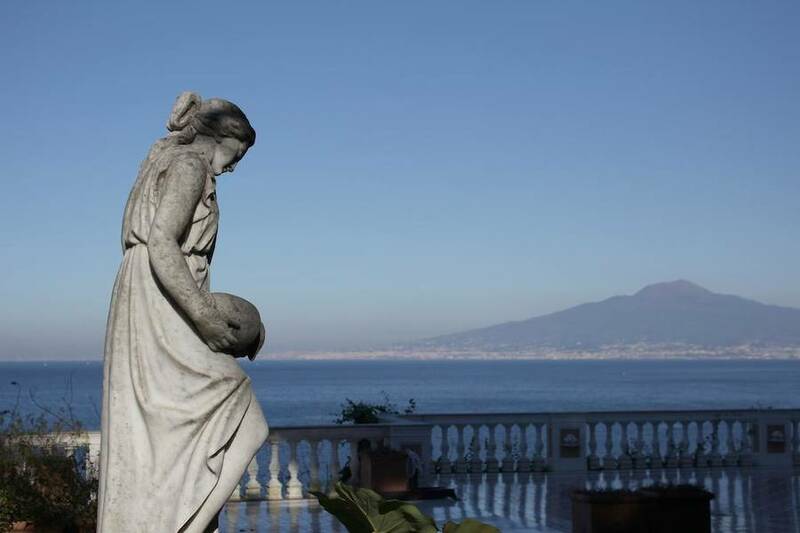 The Parco dei Principi has a long history, first as a residence for noble dames and barons in the 1700's, and then as a venue for exclusive and luxurious parties and events in the following century. 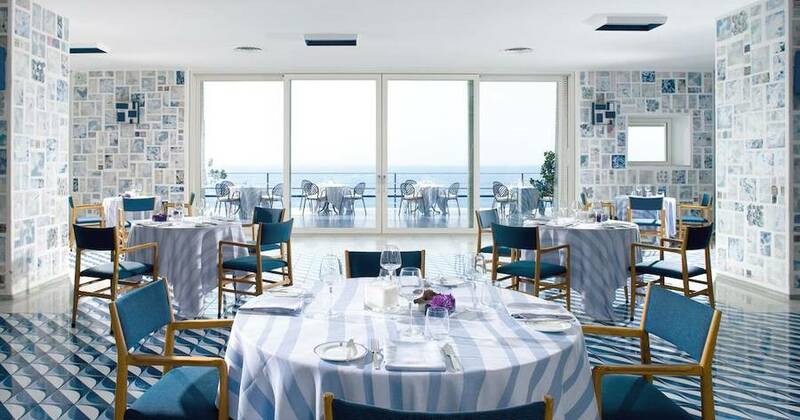 In the mid-1900's, the architect Giò Ponti was commissioned to transform the historic villa into a luxury hotel while maintaining an aesthetic harmony with the surrounding coastline. 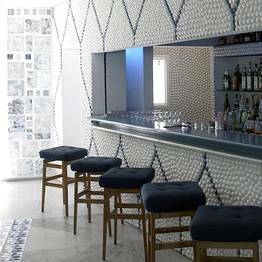 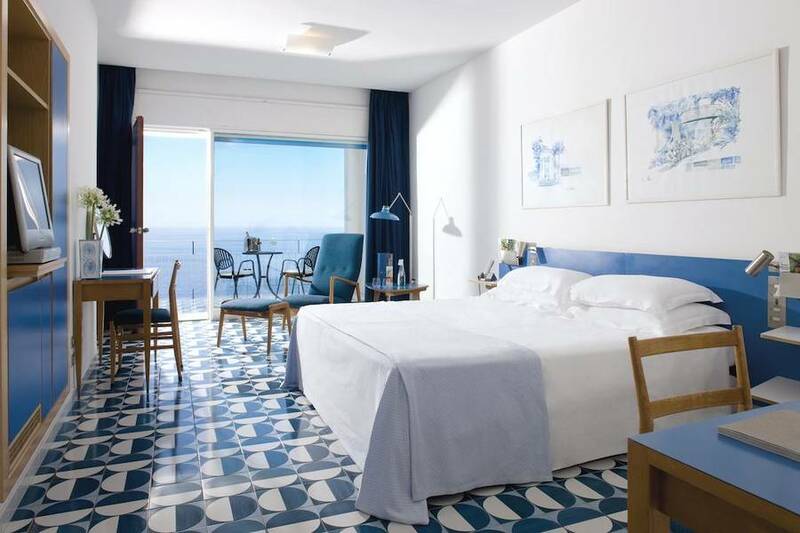 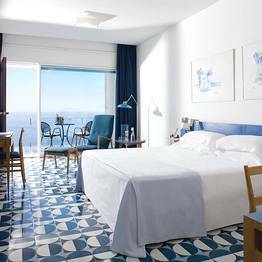 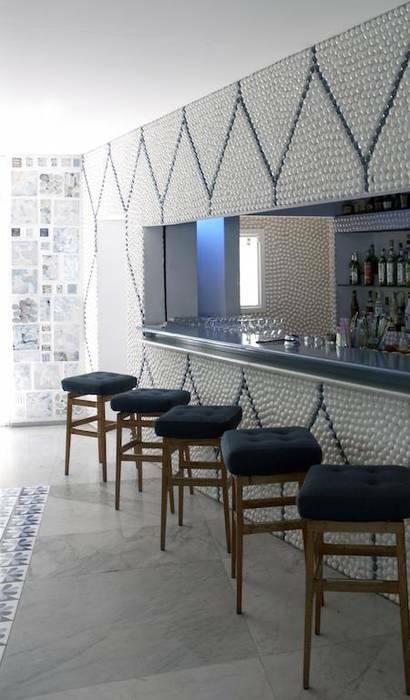 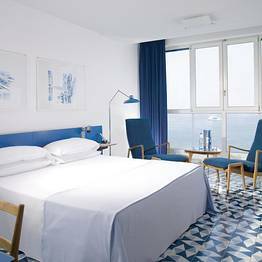 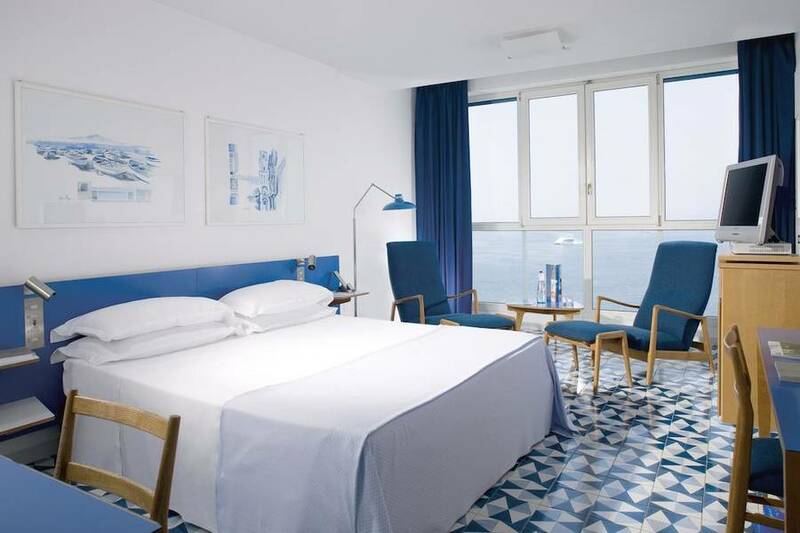 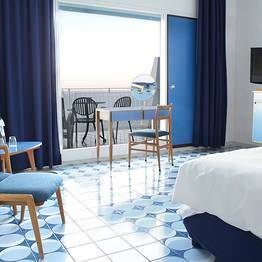 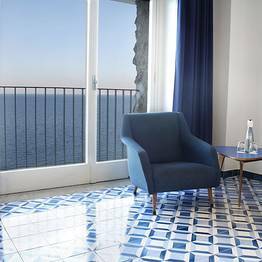 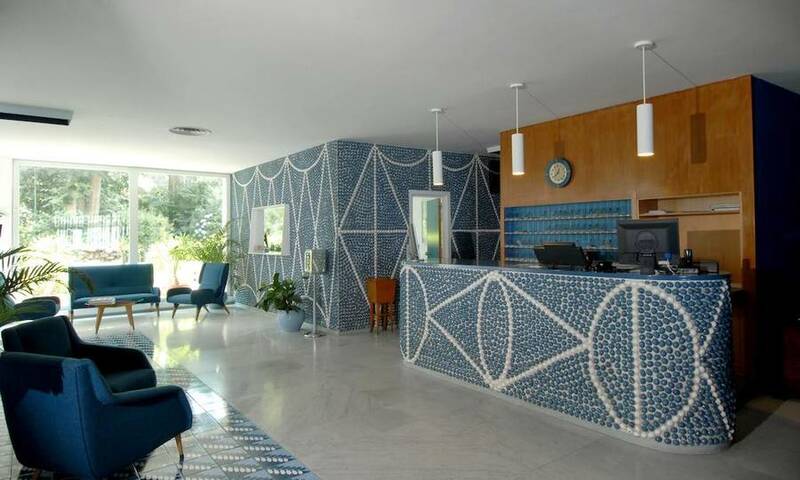 Here, the azure tones of the sky, sea, and traditional majolica tiles blend together, and are echoed in the decor of the bright rooms with views over the garden and sea. 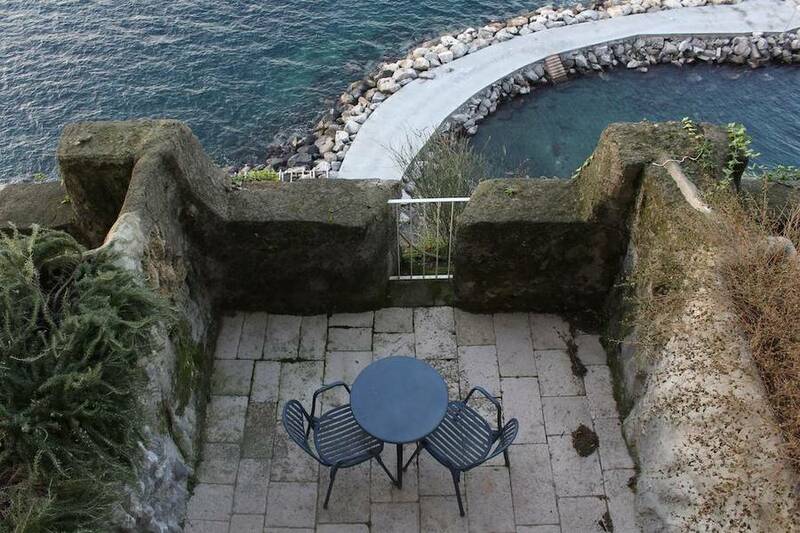 This triumph of Italian style and design honors the Mediterranean water and land in its balance of modernity and tradition. 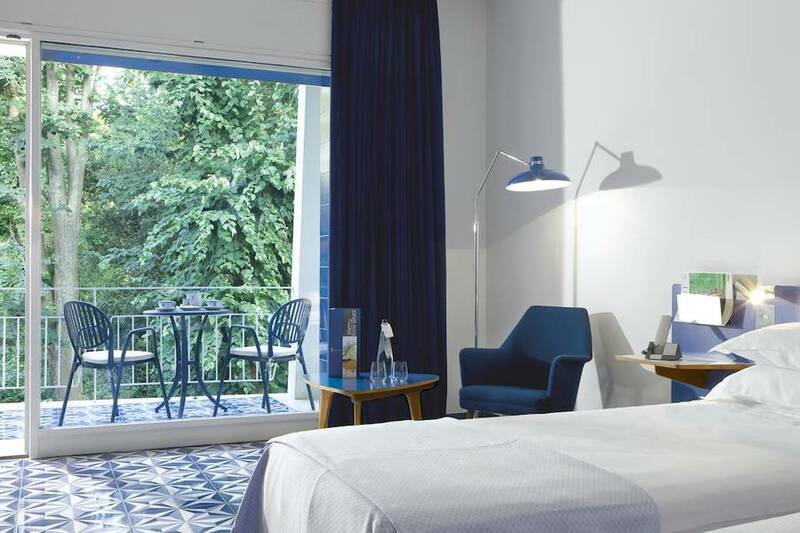 The Family Room, completely surrounded by the lush grounds, is the perfect solution for those travelling with family due to its ample indoor space including a double room and separate living area with sofabed, both of which have their own TV. 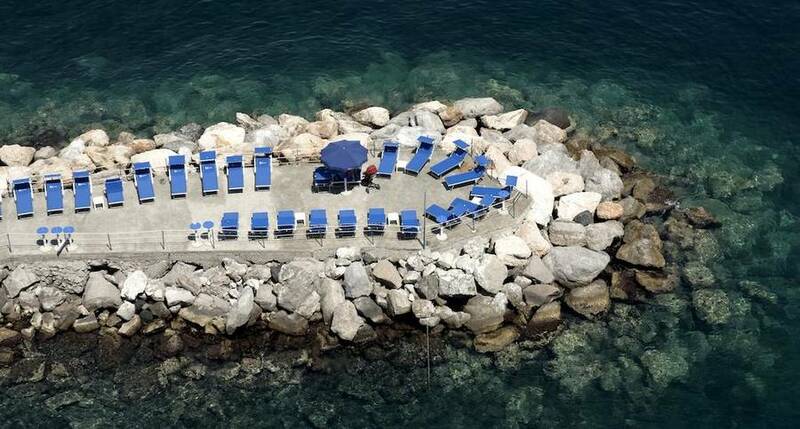 The private beach at Hotel Parco dei Principi is particularly unique, formed from two rocky cliffs supporting a sundeck perched over the clear turquoise waters of Sorrento. 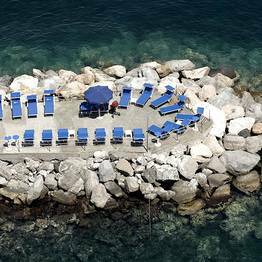 Guests reach the beach through a series of tunnels dug through the cliffside beneath the hotel, and exit directly onto a private seaside paradise. 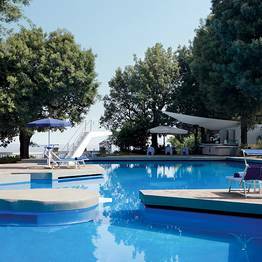 The saltwater pool was also designed by Giò Ponti and is completely surrounded by the shady grounds of the hotel. 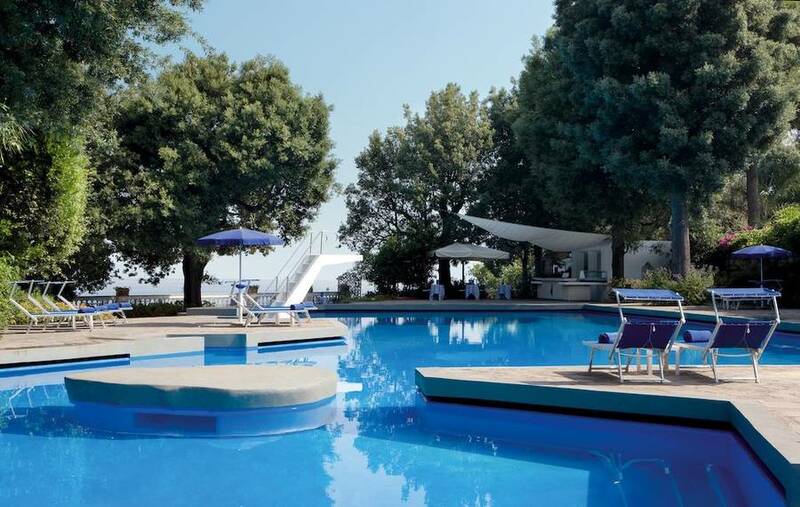 The diving board in the center of the pool seems to float on the water's surface. 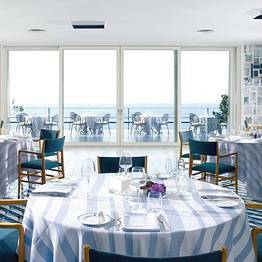 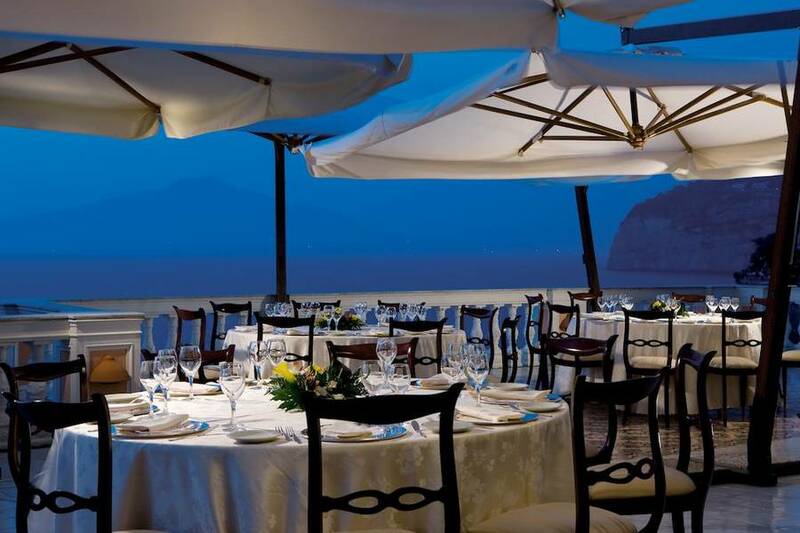 Both in the summer when guests can dine on the dock at the beach directly on the water with the cool sea breeze and sound of the waves acting as dinner companions at the Ristorante Poggio Siracusa, or in the Sala Giò Ponti dining room with views over the water from the picture windows, guests can sample the most traditional dishes from Sorrento, featuring the bounty of the land and sea. 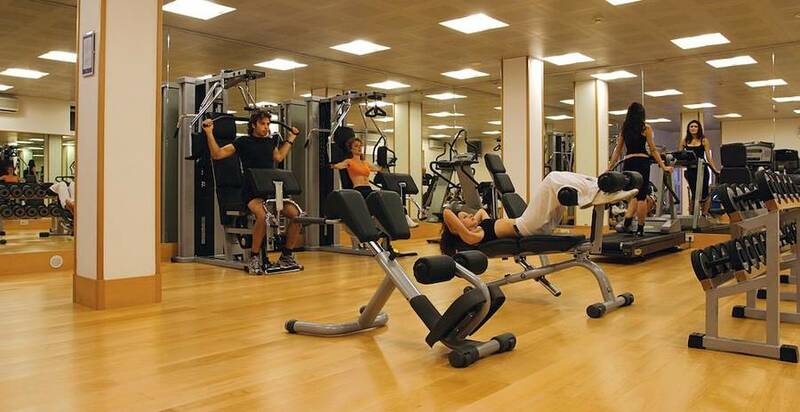 Want to stay fit on vacation? 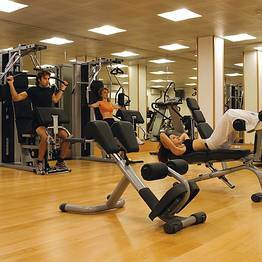 At the Parco dei Principi, the gym is open 24 hours a day, and massages and beauty treatments can be organized upon request. 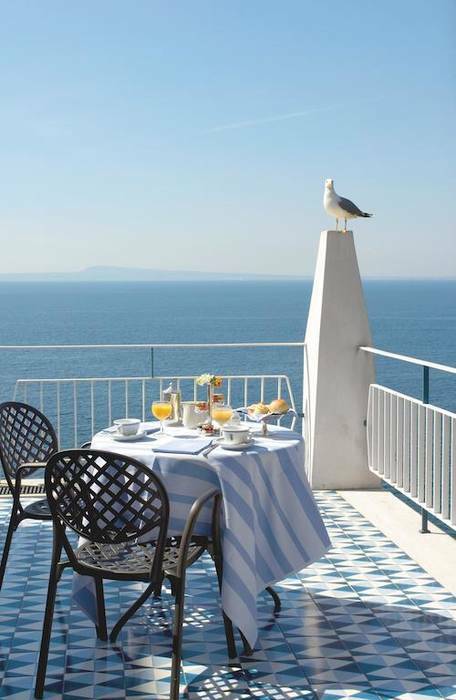 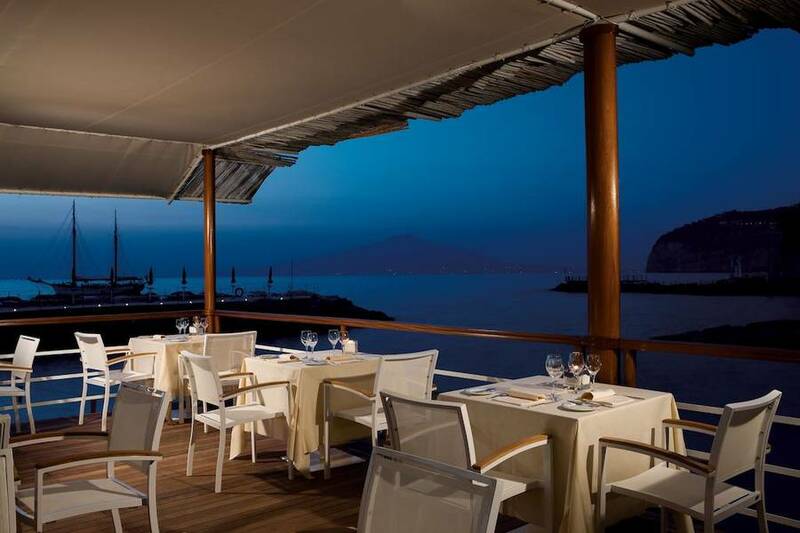 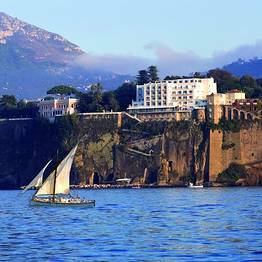 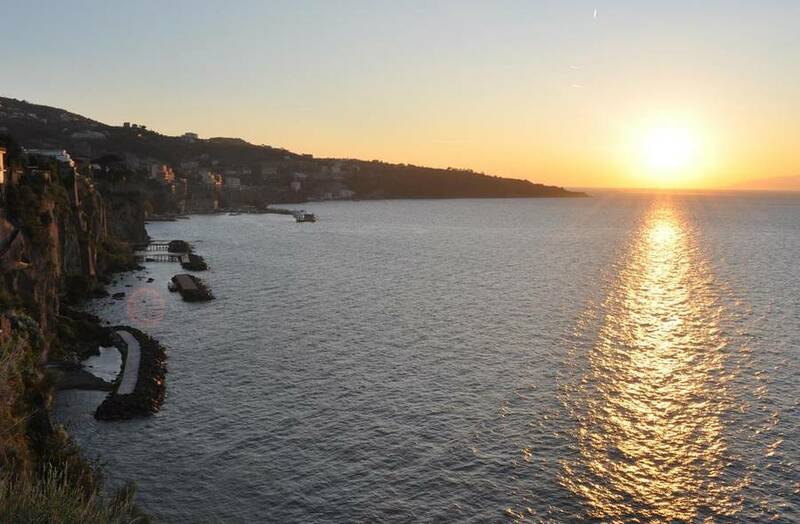 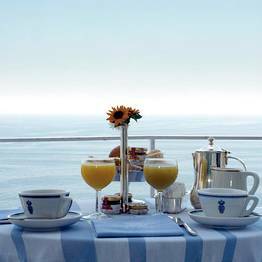 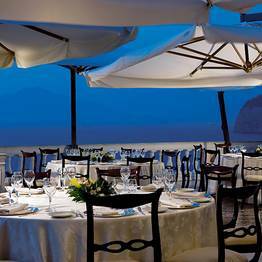 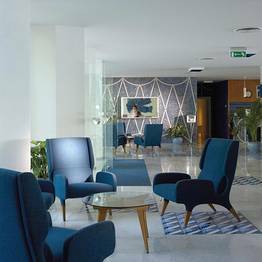 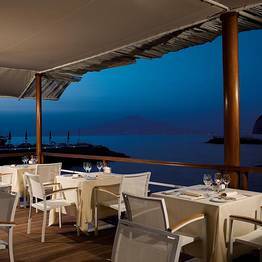 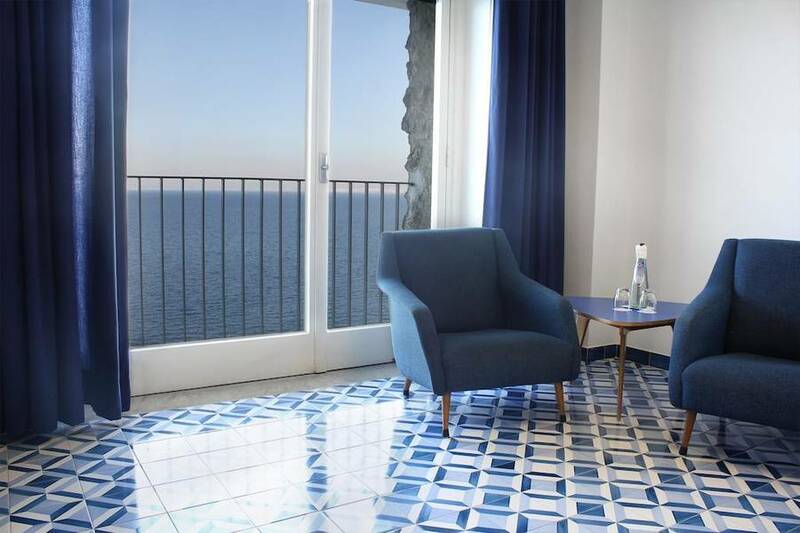 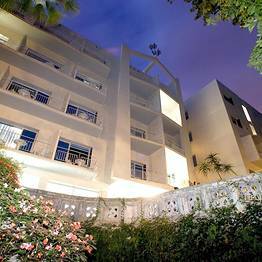 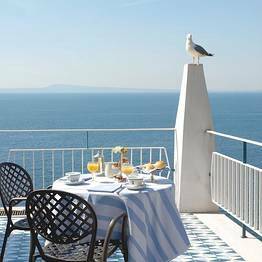 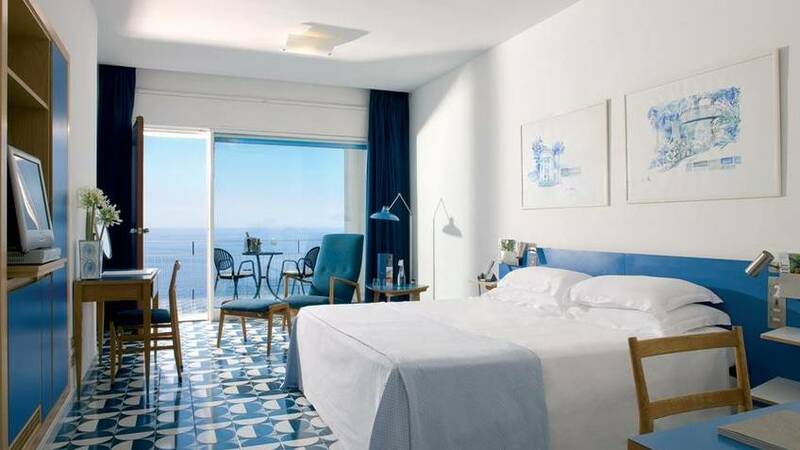 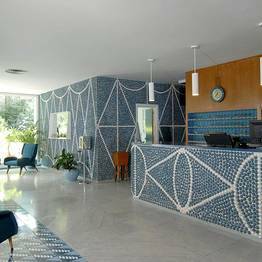 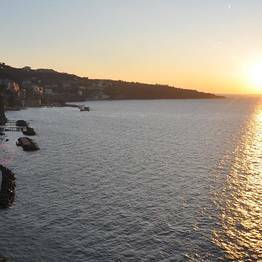 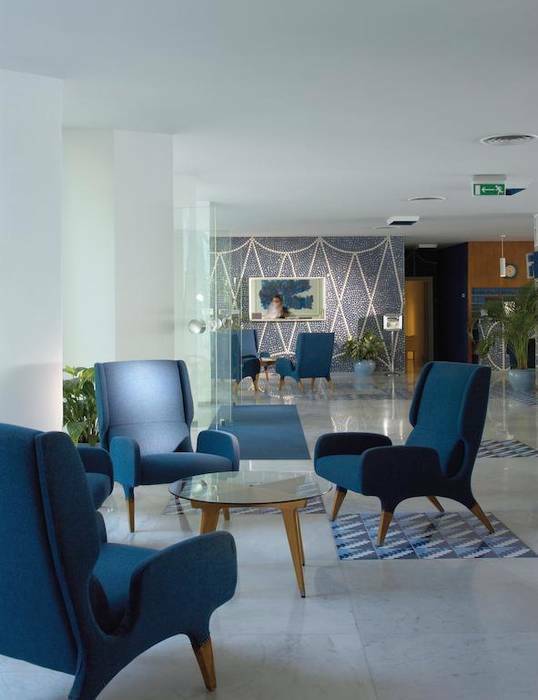 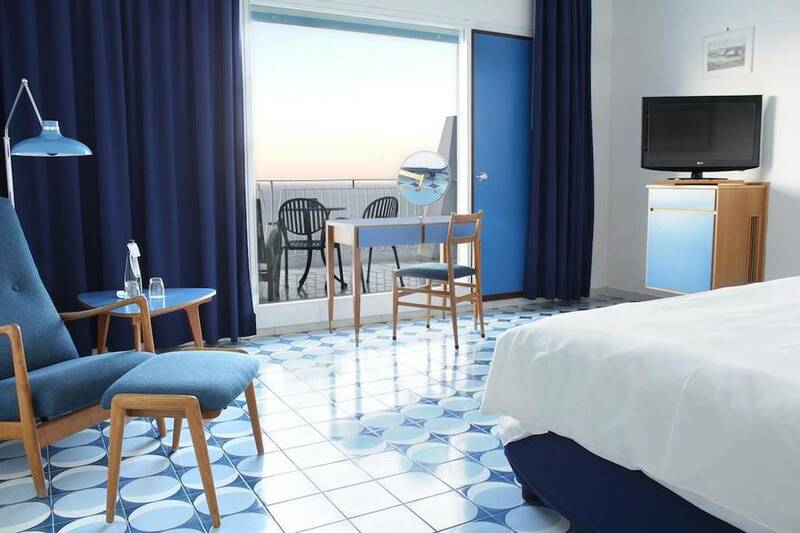 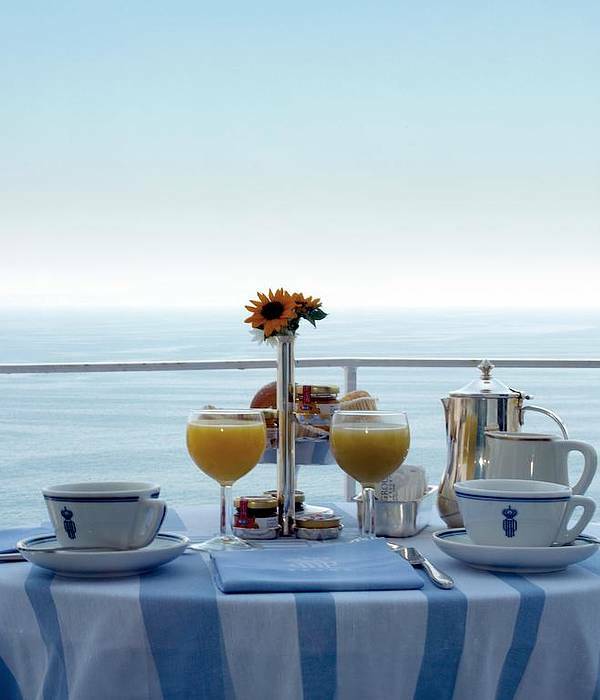 The Hotel Parco dei Principi is near both the center of Sorrento and the Marina Piccola port, in a strategic location for enjoying every aspect of a seaside vacation on the Italian coast from culture to nightlife. 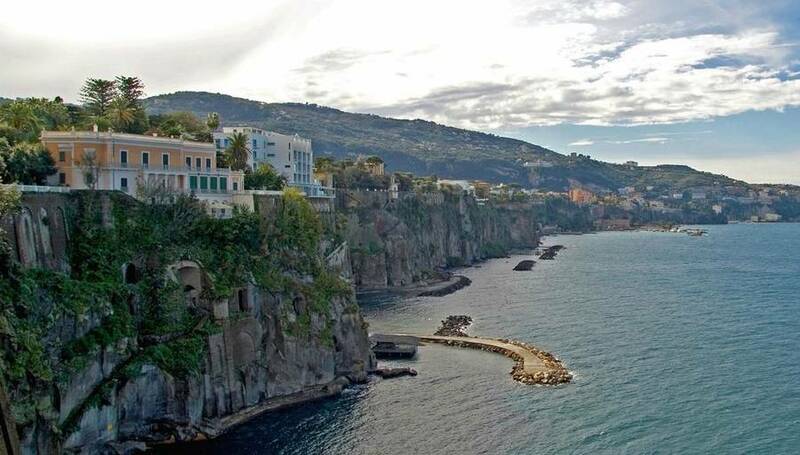 The hotel has an outdoor parking lot and a shuttle service to and from the center of Sorrento and the port. 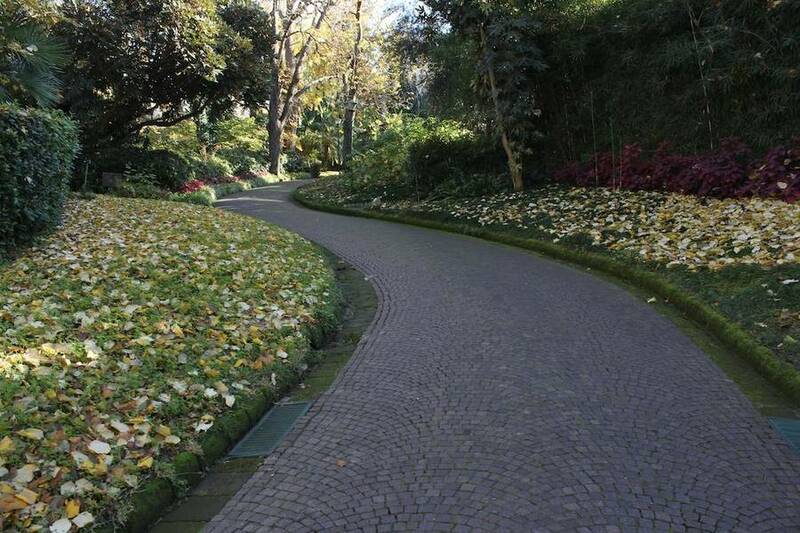 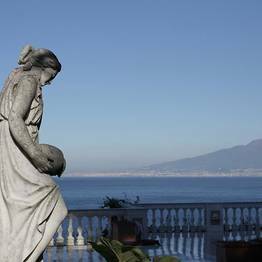 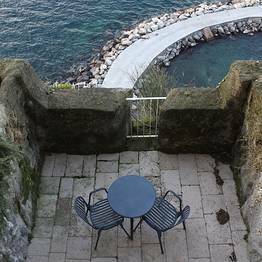 Book Parco dei Principi on SorrentoInsider now with no additional booking fees.